Head to the office in stylish comfort! 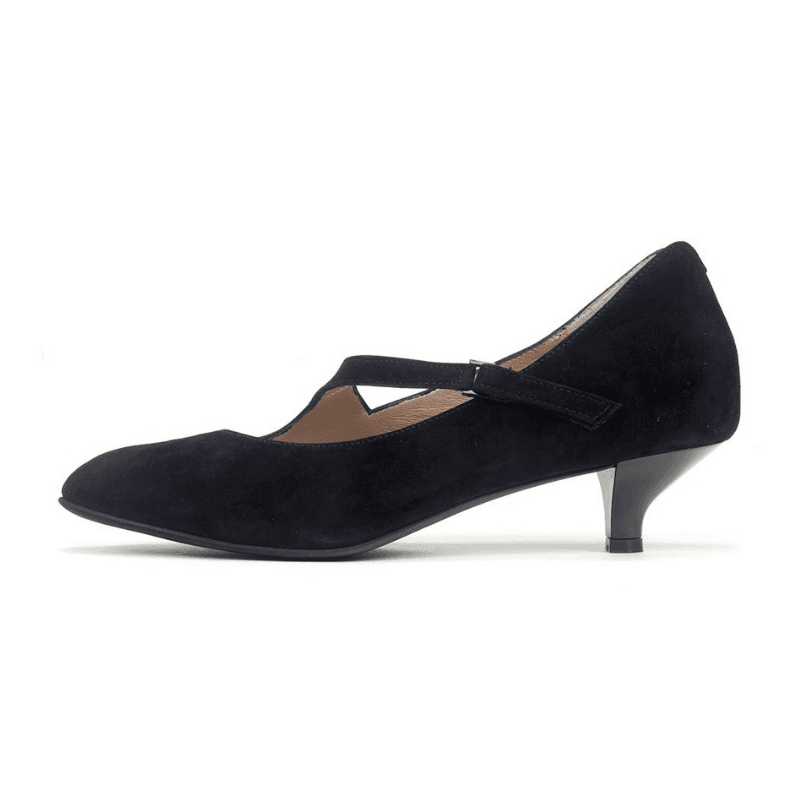 Svelte black suede pumps with a feminine asymmetrical strap and lower kitten heel lend to a professional and elegant appearance. Whether you're headed to the symphony or a meeting with the boss, these are a great selection. It's a wonderful life when you wear these extraordinary kitten heels (or at least your feet will think so!). 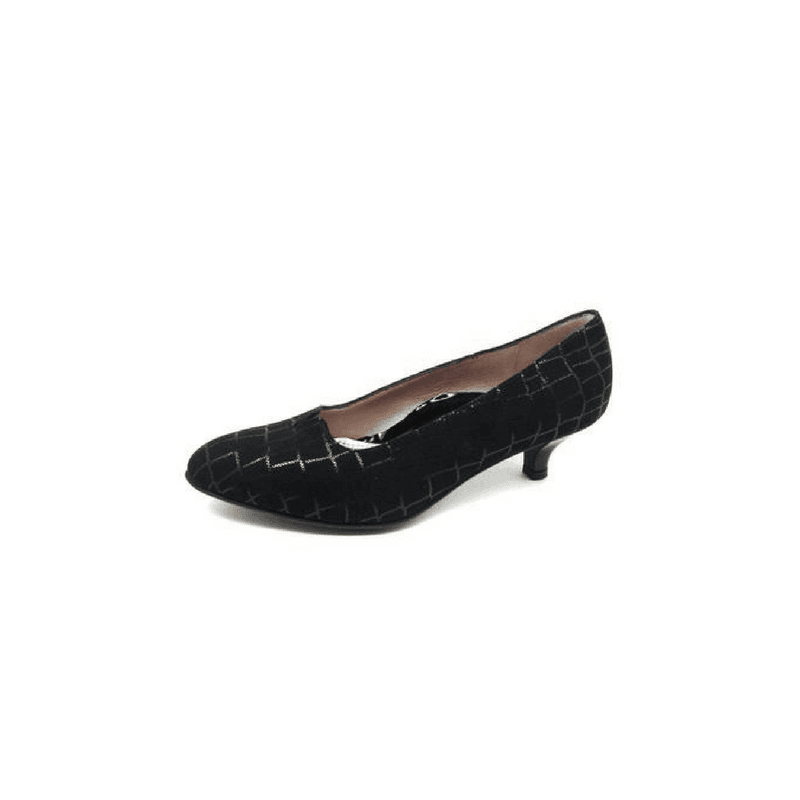 Available in premium colors/textures, these charming pumps are crafted with marvelous cushioning for all day comfort.